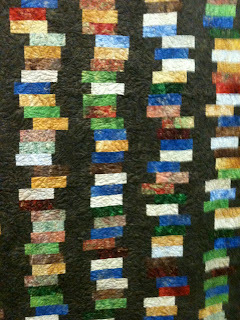 I spent last Friday in the sewing room. 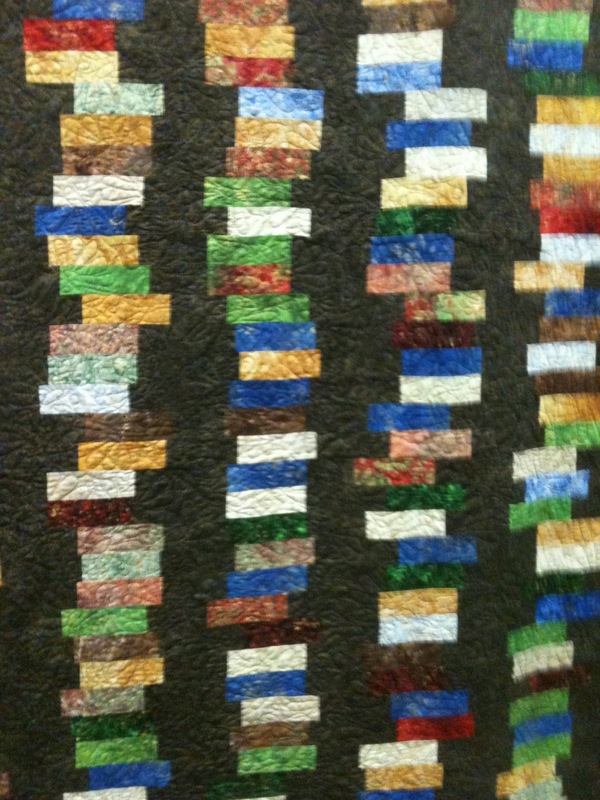 I got two comfort quilts basted and quilted. I even had one of the bindings finished before I headed for bed. Friday evening we went out for 'date night' and also picked up the paint for the bathroom. 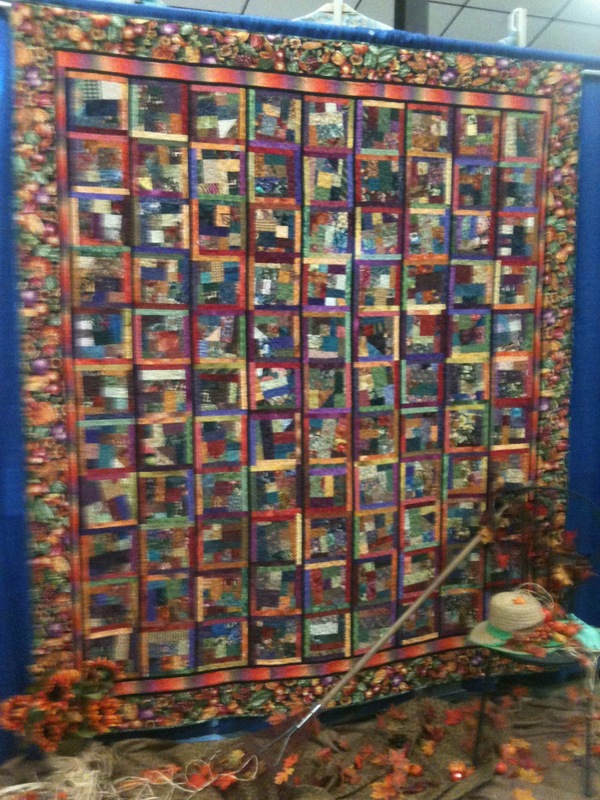 Saturday I spent several hours at the quilt show. 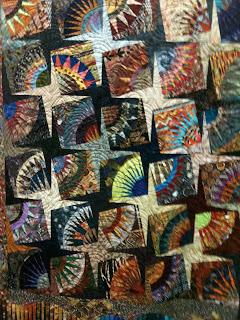 I arrived in time for my first job only to find out I was told the wrong time so I had my hour to look at the quilts, check out the venders and take pictures at the beginning. Unfortunately, I forgot my camera and had to use my phone so the pictures are not the best. I mostly took pictures for future inspiration. Here are some of my favorites. To see the rest of the pictures you can go to Flickr. I had fun working at the show. 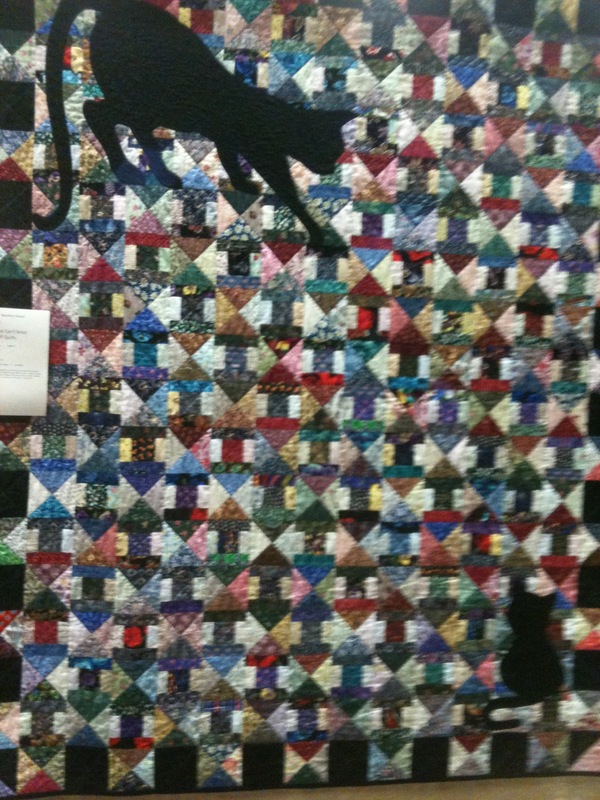 I was one of the quilt turners. There were about 20 or more quilts laid out on a bed and as one guild member told the story of each of the quilts another member and I folded them back so the next quilt was revealed. Then I had to hustle over to the raffle table. It was fun talking with the guests as they were filling out their raffle tickets. I really enjoyed getting to know some of my fellow guild members a little. 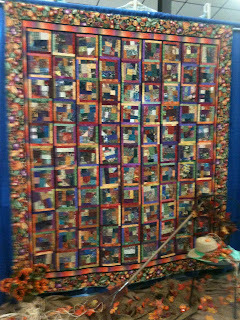 I was back at the quilt show as it closed on Sunday afternoon to help take down the quilts and the hangers. It is amazing how fast things come down when you have a huge crew helping. Today I spent the day on the road with Hubby fixing appliances or at least watching him fix them since he had an appointment this morning with the eye doctor and had his eyes dilated. 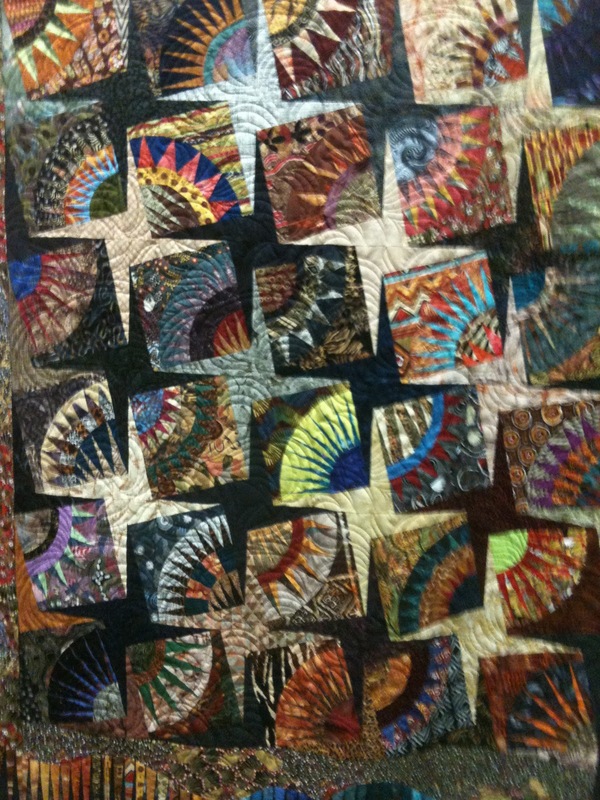 This evening I got a little closer to finishing the last of the 5 Christmas quilt tops. I really hope I can finish tomorrow so the Christmas fabric can be put away for a while! I really need to get some other projects finished like baby quilts, the label on Sally's quilt (the reveal is a week from tomorrow!) and my block for the next round robin - Saturday is the reveal for this past year's round robin and the beginning of the next.